Cilla Black pop art print, part of the “Songbirds” pop art collection. 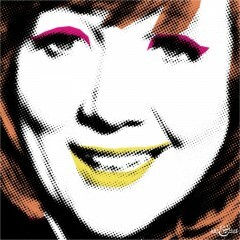 Cilla Black pop art print. 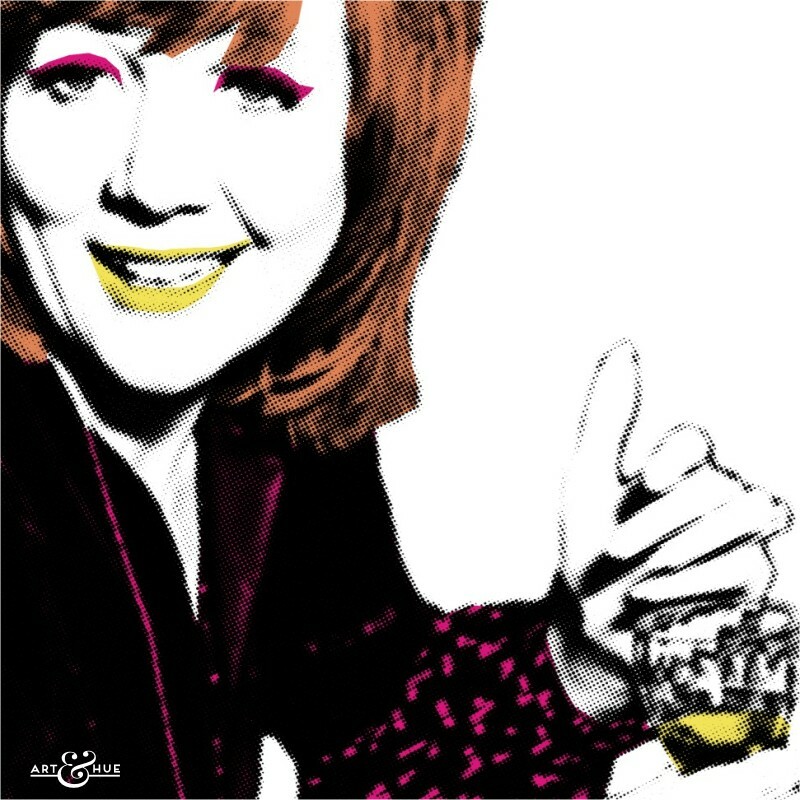 Born Priscilla Maria Veronica White, Cilla started off as a cloakroom attendant at the world famous Cavern Club in Liverpool where she impressed The Beatles when she got the chance to perform. Managed by Brian Epstein, to whom she was introduced by John Lennon, Cilla worked with the producer George Martin to create hits including “Anyone Who Had a Heart”, “You’re My World”, and the Burt Bacharach classic “Alfie”, which was also recorded by Cher for the American release of the Michael Caine film. With a BBC variety show under her belt, Cilla went on to host the successful dating show “Blind Date” on ITV as well as “Surprise Surprise”, during both of which she coined enduring catchphrases such as “lorra lorra laughs”, “here’s our graham with a quick reminder”, and “Surprise Surprise”. 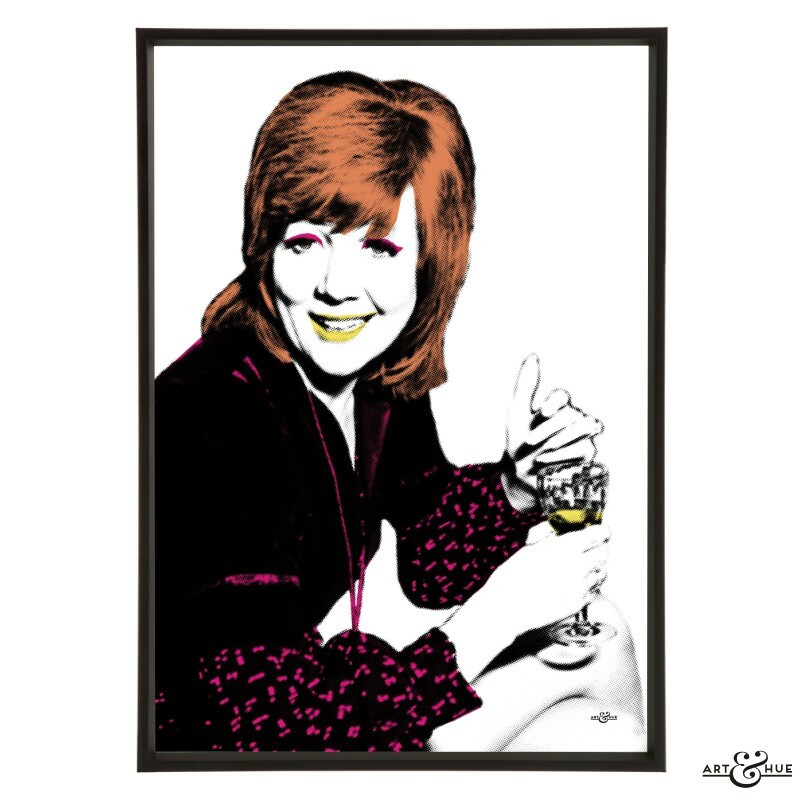 Known for liking the occasional tipple, as described by her close friend Paul O’Grady (who incidentally took the hosting baton for Blind Date when the show was revived on Channel 5), Art & Hue has created a stylish pop art print of Cilla Black holding a glass of wine.